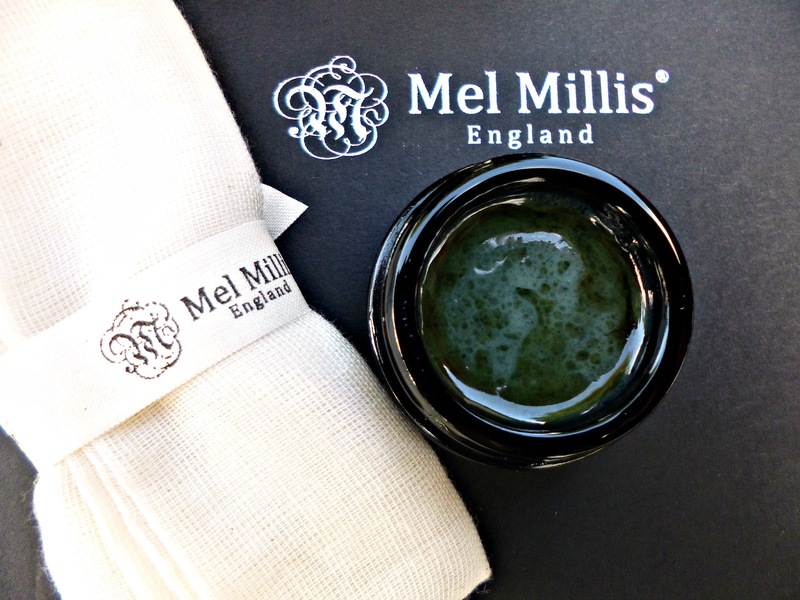 We have some great British brands that truly deserve to be celebrated and Mel Millis is one such brand that is taking the beauty world by storm. In September I had the absolute pleasure of meeting the founder of Mel Millis Tracey Foy for coffee, which in turn crept in to lunch time and before we knew it we had spent quite a few hours chatting. Tracey is an inspirational woman in so many ways, her career and knowledge of the industry shine through when she talks about her products and what she does but also her personal experiences. Tracey has led a varied life and is full of interesting stories, she started off life as a dancer which sadly came to an end due to injury, then in a twist of fate she met her husband started a family and they travelled the world for many years before settling down in the sleepy Cotswold’s where she now lives. Having experienced many different cultures has had a profound effect on how Tracey views wellness and is a fundamental part of the Mel Millis range, the symbol for medicine forms part of the Mel Millis logo although I have to say I wouldn’t have spotted it had Tracey not pointed it out. Like many others Tracey has also been influenced by her own battle with her health and takes a very proactive approach to taking care of herself. Tracey told me that Mel Millis was a largely a reflection of her loves and hobbies and having met her in person that really rang true, Tracey is elegant and beautiful in a very classic way, full of poise and dignity but at the same time very warm and kind just like the elegant packaging she has chosen. The Mel Millis symbol and writing came about through Tracey’s love of monogramming and she loves material and fabric and draws inspiration from them. Spending those few hours with her left me feeling uplifted and inspired in a way that few people I have ever met do, her’s is a story of reinvention and being true to yourself that makes you think anything in life is possible. Having worked for many years in the beauty industry before deciding to create her own line, Mel Millis whilst still a young company has already had tremendous success at the Free From skincare awards and pages and pages of great write ups, now also stocked at Love Lula, the brand is going from strength to strength. When chatting about the new additions to the line Tracey told me that years of development had gone in to the new products, her ingredients policy is exceptional and in terms of purity and quality you won’t find any better whilst making everything highly effective and luxe to use. Phytonutri Qi is carefully thought out, a mix of ingredients such as enzyme produced hyaluronic acid, high quality plant oils and natural clays and powdered ingredients. Everything that is good for your skin is included, amino acids, peptides, fatty acids and nothing to take away from that such as fillers or harsh preservatives. On to the review of the new products, starting with my hero product from the range the Phytonutri Qi Plankton Skin remedy this is a powdered cleanser, mask and exfoliant all in one with the most beautiful ingredients, Moroccan lava clay, cocoa, nutmeg, spirulina, vanilla and rose petal powder, the star ingredient is the specially sourced powder hyaluronic acid which stays fresh and is activated with water. When you take a small amount of this powder and mix it with water you are greeted with the sweet and slightly spicy scent, I like to massage this in to the skin and leave on as a mask for about 10 minutes to get the full effect of the hyaluronic acid which you can feel cooling and plumping the skin as the mask works. The clay gently draws impurities and leaves the skin more even toned and the rose petals have a cooling and soothing effect that make this mask perfect if like me you have skin prone to redness. This is the one product from the line that I would now struggle to be without. The Energising MM Face peel is a weekly treatment which provides a gently exfoliating and renewing effect from the glycolic acid, you take a scoop with wet fingertips and gently warm the product up in your hands before applying it to face and neck, this step is important as if you don’t do this the product is hard to spread evenly. As well as the glycolic acid from the sugar there is also nourishing shea butter, honey, moroccan lava clay and plant extracts such as cucumber extract and arctic cranberry seed oil. This mask is perfect for when your skin is looking a little dull and needs a gentle but thorough exfoliation. The Enriching Sea plant Jelly Is perhaps one of the most unique and gorgeous products I have had the pleasure of testing for this blog, it’s a serious moisture and softness boost for the skin encased in a soft jelly format. You apply this before your moisturiser I tend to pair this with the oil in range and apply a small pea sized amount to cleansed skin, I like to mist a floral water first and then follow with a few drops of a facial oil, it pairs with the Mel Millis serums wonderfully. The ingredients such as Argan oil, rosehip, seaweed and hyaluronic acid leave the skin oh so soft, in fact this is the softest my skin has ever been since my teens and I am now well in to my 30’s. I love the Jelly texture, it feels unique and sinks in immediately ready for another layer over the top. Some skins may well get away with just using this by itself, although it has a jelly texture the oils do sometimes separate and come through but I quite like mixing them together before applying. If you are after something special to add a real boost to the skin I can’t recommend this highly enough. Last but not least the Enhancing Arctic Essence Is an exquisite facial oil full of actives, I feel a slight warming sensation when I apply this, almost as if the actives are waking up my skin. If your skin is dull then this oil will help you glow. It’s 100% organic and packed full of high quality CO2 extracts and nourishing oils, rosehip, carrot seed oil, arctic cranberry and blackcurrant as well as pomegranate, evening primrose, sea buckthorn and an essential oil blend of frankincense, rose and lavender. The oil has a deep orange colour and a warm scent, less is more with this range but especially with the Sea Plant Jelly and the Arctic essence, I found I used much less of this oil than others in my collection just a few drops really does the job and leaves the skin glowing and refreshed. The quality of the ingredients in this range really shine and give the skin a beautiful boost, it is undoubtedly an investment line but one that you will reap the benefits from.